I’ve always said the Left tells you what worries them most by what they accuse you of. And such is the case with Russia. We already know that Hillary Clinton should be in prison over Russia. And it’s not just related to Uranium One. If Mueller had actually investigated, I’m willing to bet that Russia tried to help the Clinton campaign. But given Mueller is in cahoots with the Clintons, he couldn’t exactly look at her dirty laundry. The Russians were said to have something on about everybody. So perhaps that’s why Obama was so amenable to the Russians when he was caught on camera assuring outgoing Russian President Dmitry Medvedev that he will have “more flexibility” to deal with contentious issues like missile defense after the U.S. presidential election. I’m no G-man, but this certainly looks like collusion. Imagine for one second what the media would say if President Trump made that statement? But the real question is why would Obama say this? Was he compromised? 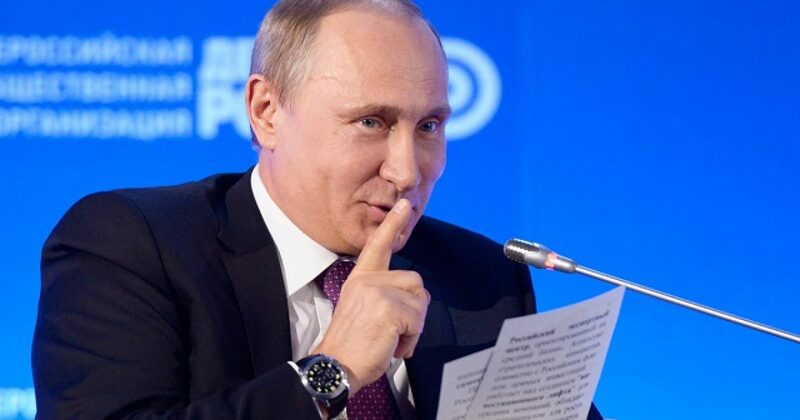 Foreign Ministry SpokespersonMaria Zakharova suggested Russia may “publish leaks” about “secrets” the Obama administration asked the Russian government to keep private. Maria Zakharova: Apparently, many volumes have been written about the development of Russian-US relations. I announced the release of the Foreign Ministry’s year-end Diplomatic Bulletin and even showed it at the previous briefing. I believe that about 20 per cent of that bulletin was devoted to Russian-US relations, the way we see them, how we want them to develop, what we expect from Washington, what we are willing to do with the United States, the priority areas of cooperation, areas where our cooperation should be revived without delay and the areas where this can wait, at least for a limited time. To tell the truth, over the past few years we’ve seen many strange things happen in Washington in connection with preparations for visits or talks by our foreign ministers. The US Department of State has more than once asked us not to announce planned visits until the last minute. This is not our tradition. We have been operating openly for years, but we have respected the requests we have received from our colleagues in Washington in the past few years. But what happened after that? First, the US Department of State asked us to keep the planned visit quiet and not to announce it until the last possible minute, until we coordinated the date. We did as they asked. But a day or two later the information was leaked by the US State Department and sometimes by the US administration. Frankly, this put Russia and the media in a strange situation, because they didn’t know who to believe – the official agencies or the many leaks. As I said, such cases in our relations with the US Department of State have become a bad tradition over the past few years. So, I can say in response to your question that we will make the date and format of contacts between the Russian and US foreign ministers public after we coordinate them. We won’t keep them quiet. At this point, I don’t have any information I can share with you. I can say that this visit and such contacts are possible in principle. But it would be premature to talk about time frames. So what do the Russians know? Who knows? But my bet is they know a lot. I feel like then-candidate Donald Trump in saying to Putin, expose these Democrat scumbags.